Good news! I have a couple of spots available for private music tuition - more details at the bottom. I'm a sucker for a good quote and this one made me smile. As anyone who has taught will know, you've always got to be tremendously optimistic about the potential your students can achieve. And... it's always great when it pays off. MAINZ, Central Auckland - I give an annual lecture on string arranging. This is really enjoyable as I get to share some of the arrangements I've worked on, and the students love analysing them and seeing what techniques they can use in their own work. This year the class seemed to have doubled in size, so that's a great sign for them. 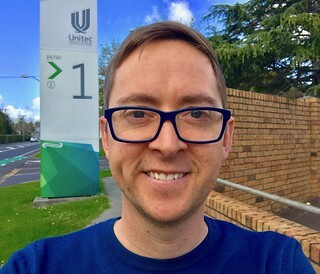 UNITEC, Mount Albert - I've been taking most of the theory/musicianship classes for the Certificate in Music and Diploma in Contemporary Music courses so far this year. Really, really enjoyable. Awesome students who are eager to learn new things. 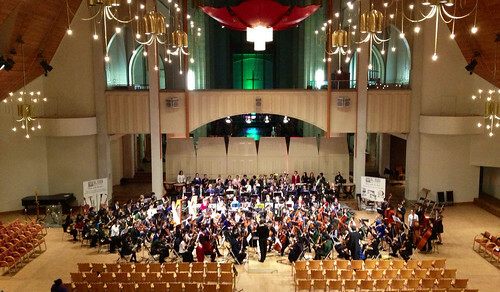 Michael Park School, Ellerslie - it's my second year there as an Auckland Philharmonia APOPS Composer Mentor. This is where I get allocated hours to go in and mentor some of their composers. These guys are heaps of fun. St Mary's College, Ponsonby - I've been there for the first five weeks of this term working with the amazingly talented senior composition students. I've also got some Auckland Philharmonia APOPS hours there so we've got time through the rest of the year to develop some exciting projects. Carmel College, Milford - I have a few hours here, working with the senior composers and arrangers. This is such a wicked little music department and they certainly achieve some impressive results. Long Bay College, Torbay - I teach all of their senior composers and arrangers, a lively department with loads of good students doing great things. Private - I also have several private students who either come to my studio or have lessons online. AND... I've got some spots available if you're interested in having lessons in either composition or music theory. I've got some info at NZ Music Teachers Online and you can contact me there or on my contact page. Really hard to try and find an appropriate header image for this post. So I went with a little snippet from a Brian Ferneyhough work. Well it's the last day of NZ Music Month, so that's a good excuse to post about a few projects I've been working on lately. I've been a bit quiet online in recent months so here's a good chance to make up for that. Picture This! is a new work I've written for the Long Bay College Concert Band. They won gold at the KBB Music Festival last year so a new work had to take shape! I spent last weekend with them at their rehearsal camp and had loads of fun. Look out for Picture This! at this year's festival. I ask of you no poetry is for their award-winning elite choir, St Cecelia Singers, and is written for SSA choir, handbells and organ (with text by Madeleine Ballard). Kiwi in Appalachia is for their chamber ensemble consisting of flute, Bb clarinet, bass clarinet, bassoon, 2 violins, viola and piano (cello part also available). It's a standalone piece but for this group was written to be used in conjunction with my arrangement of Copland's Appalachian Spring. I'm hoping to get along to see some rehearsals soon and will post some performance dates when available. 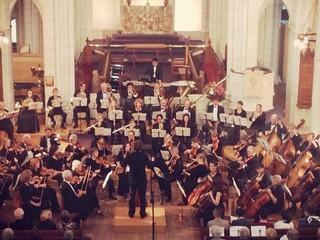 I have also just written Unwrapped for the St Matthew's Chamber Orchestra which was premiered last Sunday. I've written about it here, check it out. Another film by these guys that I did the music for, Sounds Perfect, was screened at the Cannes Film Festival during May - I posted about it here, check it out. 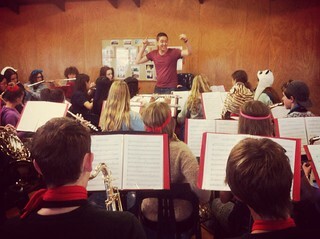 In conducting news I had a great weekend down at the Bay of Plenty Music School working with the concert band. I was so happy with the standard they reached - read about my weekend here. 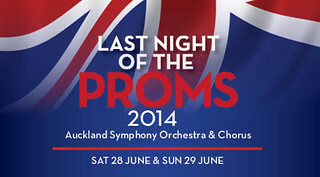 I'm also currently working with the Auckland Symphony Chorus - preparing them for the Auckland Symphony Orchestra's hugely popular "Night of the Proms" concerts at the end of June. Great to have "Song of the Lonely Mountain" as part of the programme - a song I did the preparation of for "The Hobbit" movie two years ago. That's all for now. A few other projects on the go, but I'll save those for a future post! 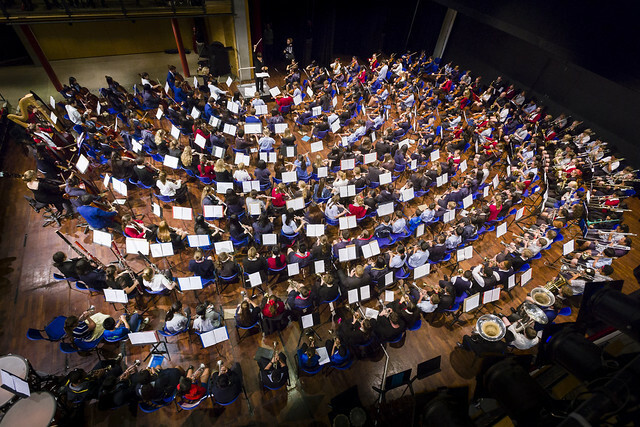 It was a busy week last week with the KBB Music Festival - the annual school orchestra and band festival. I'm on the committee so it's a busy time of organising, stage managing, watching and listening. On Thursday night it was great to hear the Rangitoto College Concert Band give another performance of my work, "bubble". Nice work guys and thanks for the opportunity to workshop it with you a few weeks earlier. 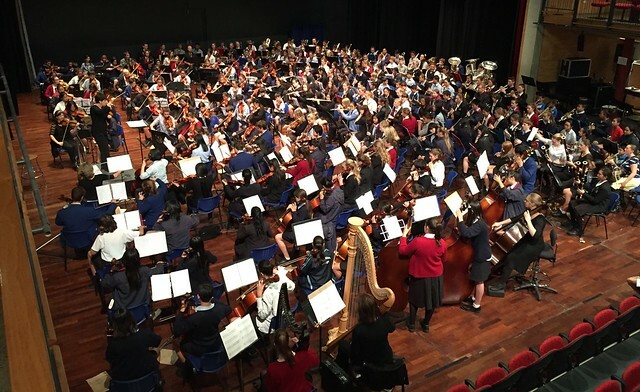 Here's the inaugural honours orchestra - put together by Peter Thomas, Sally Tibbles and myself - a selection of the finest talent across all participating schools. 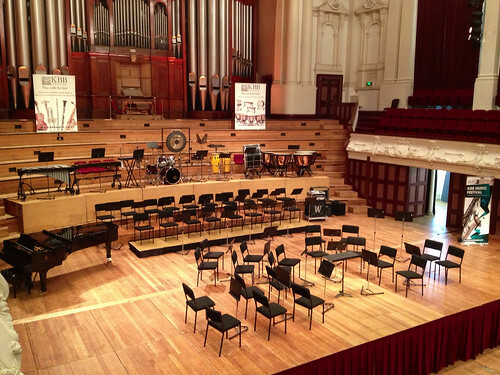 Here's the Auckland Town Hall stage setup for last night's gala concerts. 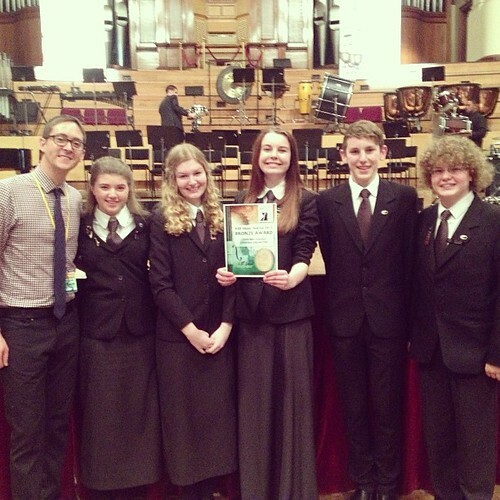 Here's some members of my wonderful chamber orchestra with their bronze award.